Pembroke Castle is a medieval castle in Pembroke, West Wales. The castle is sited on a strategic rocky promontory standing beside the River Cleddau. 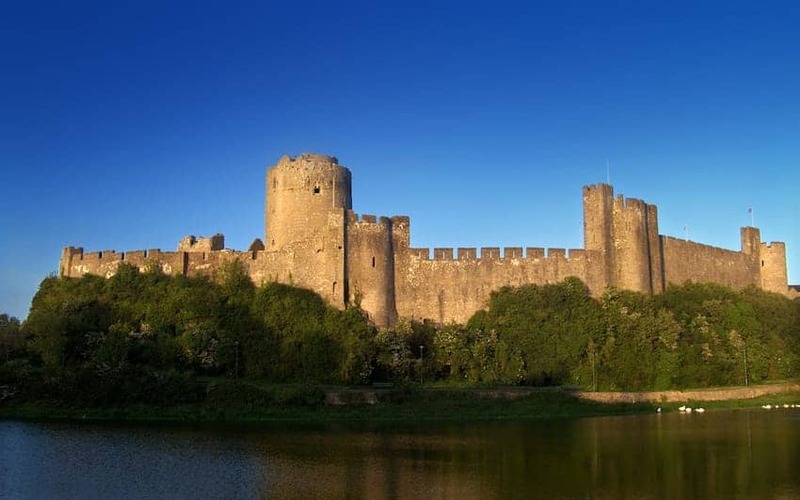 In 1093 the first castle was built at the site and fortified with a motte-and-bailey made of earth and timber during the Norman invasion of Wales. A century later it was rebuilt in stone creating most of the structure that remains today. The castle was restored from ruins in the early 20th century and has made numerous film appearances since.